Summer has arrived! This obviously means trips to the seaside, barbecues and ice creams in abundance! 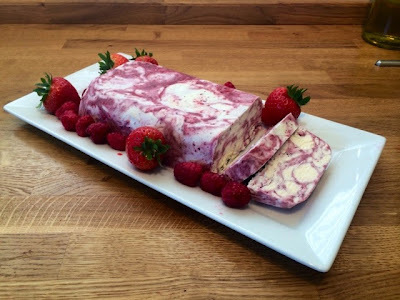 This dish was inspired by Lorraine Pascale’s Raspberry Ripple Parfait, but you could really use any fruit to ripple through it. 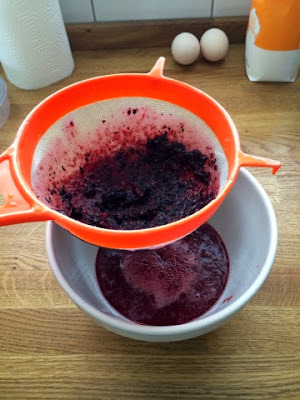 Frozen works best and I had a few bags of strawberries and blueberries in the freezer so that’s what I’ve used this time. I’d love to give a tropical version a try, I think a mango ripple would be really nice. Everybody loves an ice cream and it’s a great dessert for after a barbecue or dinner party in this warmer weather, but dishing out the ice cream cones or scooping it out of a tub doesn’t seem like a very grown up or presentable way of serving it to your guests. 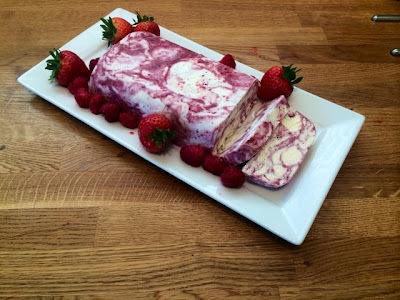 This ice cream loaf, served on a platter with fresh fruit and sliced into portions looks a lot more presentable. 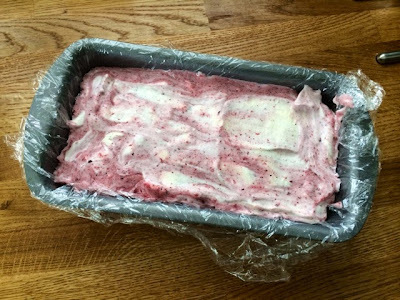 This isn’t just a grown up dessert though, you could put the mixture into a big tub to keep in the freezer for scooping out as and when you want or try freezing it in ice lolly moulds as the kids will love it. 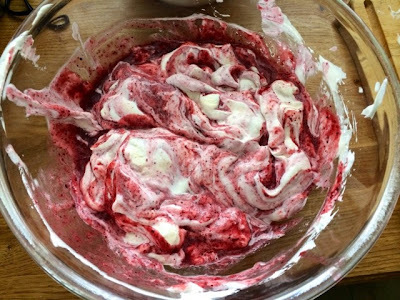 If you don’t fancy doing your usual weekend bake in the heat this weekend I strongly recommend you make this delicious treat instead. 1. In a food processor, blitz up the frozen fruit. 2. 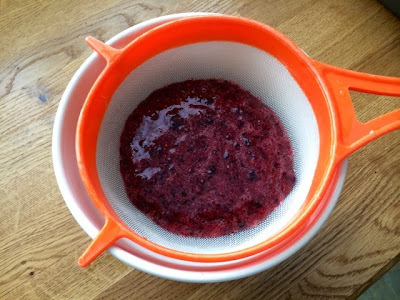 Push through a sieve to produce a smooth liquid. Discard remaining skin and seed pulp. 4. 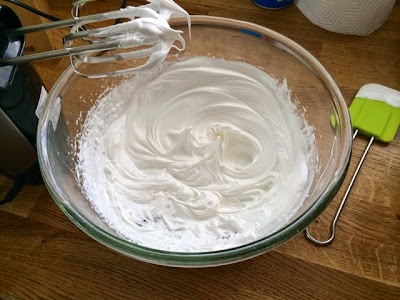 Whisk together the egg whites and sugar until they form stiff white peaks. 5. 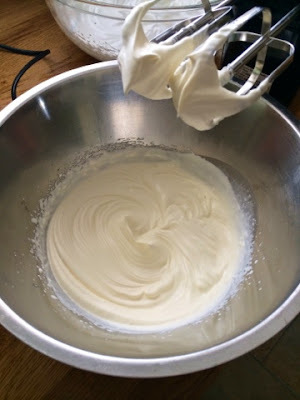 Whisk up the cream until thick. 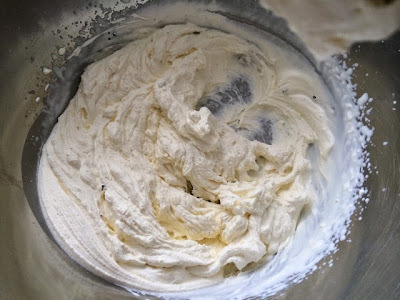 Scrape the seeds from the vanilla pod into the cream. 6. 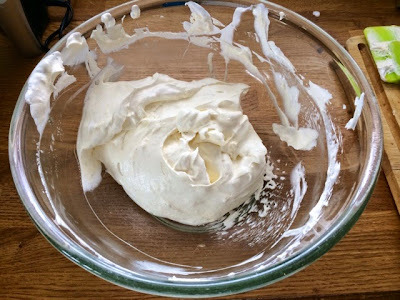 Gently fold together the cream and the egg whites being careful not to knock any of the air out. 7. Roughly fold through the fruit juice to form a ripple effect, don’t combine completely. 8. 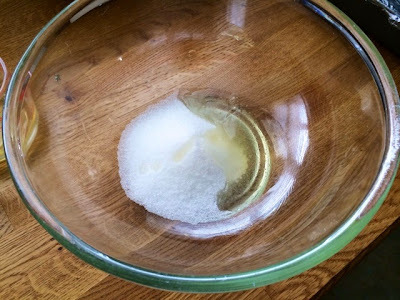 Fill a loaf tin, lined with cling film, with the mixture. Cover the top with cling film to ensure the ice cream is completely sealed. Place in the freezer overnight. 9. 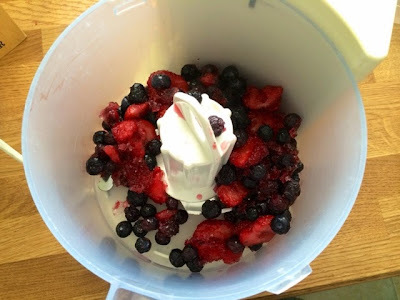 Remove from the freezer and turn out onto a dish. Serve in slices with fresh fruit.